I know, I know....everyone has an Oscar story today. But, here is ours. This is a reprint of a great article from the Long Island Press. Some are common knowledge to most of us by now. Others, news to me! There are many others not mentioned in the article. 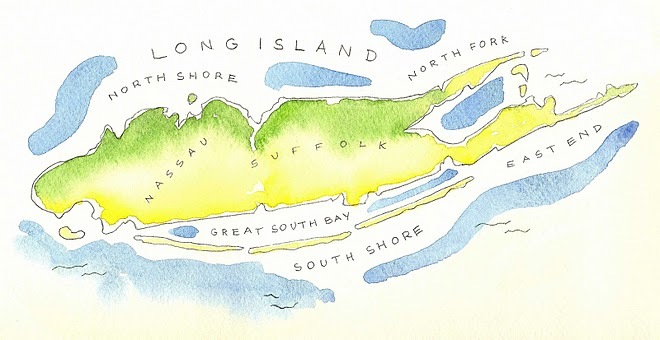 Check out Long Island Portal for many more, as well as my favorite Discover Long Island. Enjoy! Citizen Kane, a movie based on the rise and fall of a fictitious newspaper tycoon who lived in the Xanadu estate, was loosely based on the life of William Hearst. Does Xanadu look familiar? It should. The opening scenes of the movie were filmed at Oheka Castle in Huntington, you know that little shack where Kevin Jonas got married. The USA series Royal Pains, about an emergency room doctor turned Hamptons private doctor has been filmed at Caumsett Historic State Park in Huntington, Oheka Castle and Old Westbury Gardens. 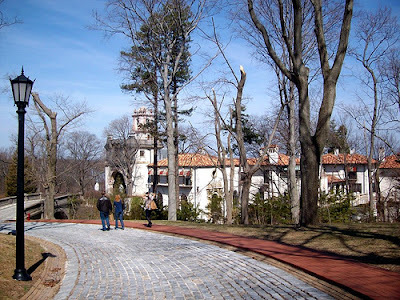 Cary Grant once walked the halls of the Old Westbury Gardens mansion. The mansion featured in the movie North by Northwest co-starring Eva Marie Saint. Scenes from The Age of Innocence, The Manchurian Candidate, Cruel Intentions, Love Story, Wolf and Hitch were also filmed on the grounds. The driveway was used in Love Story (1970) to depict the entrance to the home of Ryan O'Neal's character. Romance filled its gardens with passionate love scenes from the Age of Innocence (1993) and Lovesick (1983). Laugh out loud and remember such comedies as The Associate (1996) and Hitch (2005). Or perhaps pose dramatically under a tree and try to think of what the character was thinking in such films as From the Terrace (1960), Wolf (1994), Cruel Intentions (1998), and The Manchurian Candidate (2004). You know the post office Will Smith walks into in Men In Black II? 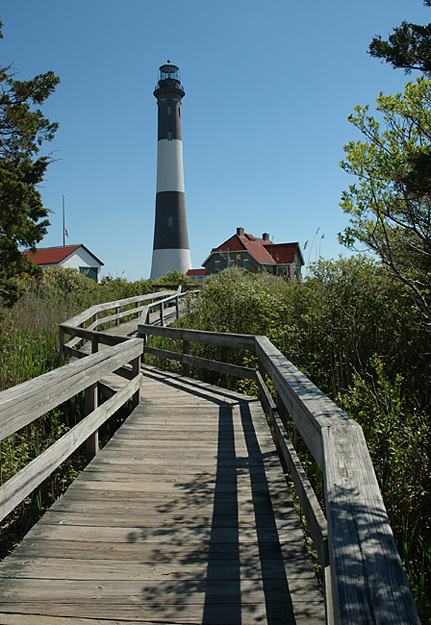 It’s actually a lighthouse—The Fire Island Lighthouse. When Jim Carrey undergoes a procedure to erase his memories in Eternal Sunshine of the Spotless Mind, he is in Montauk. Trees Lounge, written by Steve Buscemi, was filmed almost entirely in Valley Stream. Buscemi grew up in the town and went to Valley Stream Central High School. Actor and producer Edward Burns, who also grew up in Valley Stream, filmed most of the scenes for The Brothers McMullen throughout the town. The spy movie Salt, starring Angelina Jolie was filmed on the grounds of the old Grumman facility in Bethpage. The living room of Harry Guggenheim’s former mansion, which sits on the grounds of the Sands Point Preserve, Falaise, was the scene of the infamous horse head in the bed scene in The Godfather. The preserve was also used to shoot scenes for Scent of a Woman, New Jack City and Malcolm X. When Paul Hogan explores a Spanish mansion in Crocodile Dundee 2, he is actually exploring the former Vanderbilt estate, home of the Vanderbilt Museum and Planetarium in Centerport. Even Batman lives on Long Island. In Batman Forever, look closely at Wayne Manor and you’ll see the Webb Institute in Glen Cove. When Ray Liotta and Lorraine Bracco are hanging out at a beach club in Goodfellas, they are actually at the Catalina Beach Club in Atlantic Beach. When Ben Stiller’s character shops for a tuxedo in Meet the Parents, he’s in Victor Talbots on Glen Cove Road in Greenvale. And that familiar restaurant? 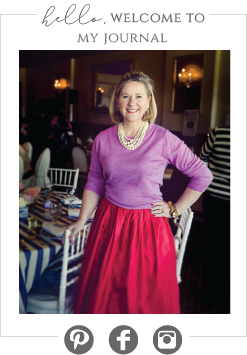 It’s Louie’s Oyster Bar & Grille in Port Washington. 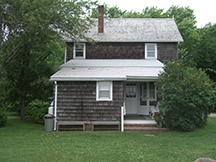 Pollock, starring Ed Harris and Marcia Gay Harden, was filmed in East Hampton at the Pollock-Krasner House, a National Historic Landmark. 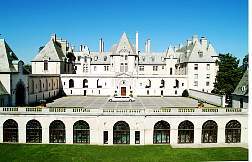 Parts of The Others, starring Nicole Kidman, a character who is convinced her home is haunted, was filmed at the Oheka Castle in Huntington. Love this kind of trivia!